The in-house investigators assigned to look into Brian Williams' past reports have documented at least 10 instances of exaggerations and embellishments by the NBC anchorman. The investigation is not yet complete, according to a person with knowledge of it, who described some of the findings on condition of anonymity. It is unclear whether Williams had had a chance to defend himself to his bosses. NBC has not allowed him to do so publicly. NBCUniversal CEO Steve Burke was briefed on the current findings at a Thursday morning meeting in New York. The meeting suggests that the network is nearing a decision about Williams' future. Williams, the anchor of "NBC Nightly News" for the past 10 years, was suspended nearly three months ago when a scandal erupted about his recounting of an Iraq War mission in 2003. His suspension is scheduled to end in August, but it is unclear whether NBC will reinstate him at that time. Lester Holt has been filling in. The network has been under pressure -- both internally and externally -- to reach a decision about Williams and announce it well ahead of the August deadline. That decision will be informed by NBC's internal fact-checking effort, which is being led by Richard Esposito, the news division's senior executive producer in charge of investigations. All of the people involved are being incredibly tight-lipped, and NBC refuses to confirm anything about the investigation. But The New York Times and The Washington Post reported new details on Friday night that painted Williams in a decidedly negative light. The Times reported that Esposito's team has uncovered "discrepancies" in Williams' accounts of his reporting from Tahrir Square in Cairo, Egypt in 2011. The Times said it was one of a "half-dozen instances" that have raised eyebrows internally. The Post reported that the investigation has "turned up 11 instances in which the anchorman publicly embellished details of his reporting exploits." It also said Thursday's meeting was attended by Burke; the man he recently appointed to oversee NBC News, Andy Lack, and the president of NBC News, Deborah Turness. A spokesman for NBC did not respond to a request for comment on Saturday. Earlier this week, CNNMoney reported that the fact-checking findings "may be a form of leverage -- to either say that Williams has been cleared of further embellishing, or that he's too damaged to return to the 'Nightly News.'" If NBC executives believe he's too damaged, negotiations will have to ensue with Williams' lawyer. 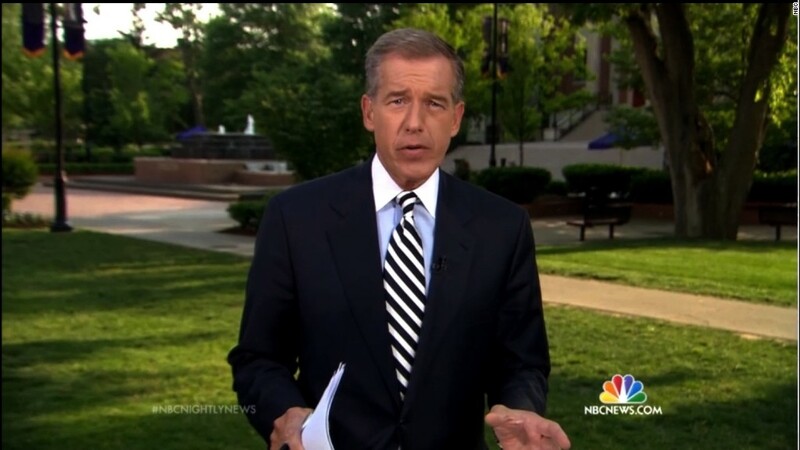 Last winter Williams signed a lucrative contract to remain the "Nightly News" anchor through the end of the decade. In private conversations, TV agents and other industry veterans have speculated that the investigation's findings could be useful in a negotiation. NBC could offer to keep the investigation under wraps, or threaten to release it, depending on Williams' willingness to leave. Jay Rosen, a New York University journalism professor who has followed the Williams case closely, said that "if the latest reports are accurate," they further complicate the picture. If the executives "let Brian Williams return to NBC News, they have to calculate the effect on morale and the rough statement they would be making (essentially, 'your opinions don't count') to all the people in the news division who feel grave doubts and deep anger toward Williams," Rosen said. "Are they prepared to pay those costs? Maybe they are, I don't know." Rosen suggested people at NBC may be "signaling their mood and intentions through the leaks."